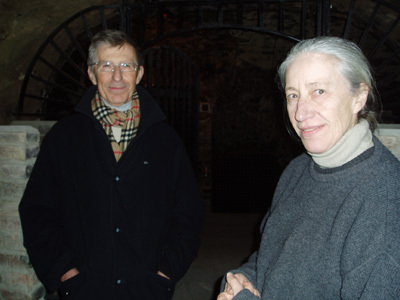 Nicole and Yves Moncuit have guided this excellent domaine, located in Le Mesnil-sur-Oger, since they took over from their father Pierre in 1977. Nicole, the winemaker and grower, and Yves, in charge of the commercial side, are the latest generation in a line of vignerons that stems back more than a century. 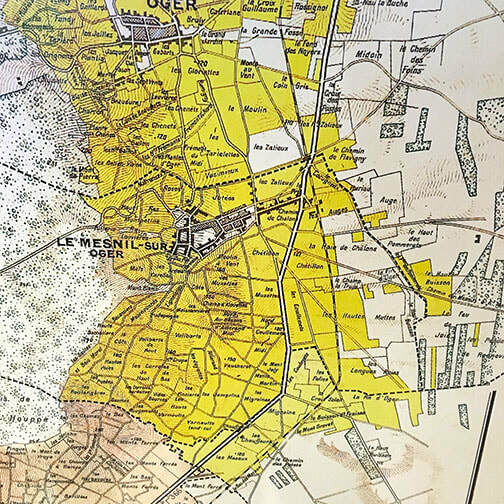 The Moncuit siblings own fifteen hectares of vines surrounding Mesnil, mostly old vines that average thirty years of age. 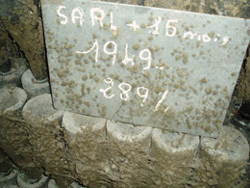 Their high percentage of old rootstock is a rarity in Champagne, where vines are routinely replanted once they reach their twenty-fifth birthday. These old vines help to ideally convert what the chalky soils of Le Mesnil have to offer, concentrated fruit aromas entwined perfectly with captivating minerality and ideal acidity. The Moncuits also own four hectares of vines in the Côtes de Sézanne, whose grapes go into another cuvée called Hugues de Coulmet. Harvest is by hand and the wines are aged in stainless steel tanks. The Moncuits avoid using wood, as they feel it gets in the way of the village's hallmark delicacy and minerality. The wines normally go through malolactic, except in certain vintages when acidity is low — not often a problem in Le Mesnil. Most of their non-vintage releases actually come from one harvest, while the vintages are held back slightly longer and include grapes picked from some older and better exposed vineyard sites. Lower dosage of 8 grams/liter. Tasting Notes: Fruit forward, with round, bright citrus flavors along with floral notes (jasmine). Tasting Notes: Very mineralled release, where the terroir of Le Mesnil really comes through. We smell the chalk, then lurking underneath, plenty of concentrated fruit including grapefruit and an exotic pineapple note. Aged for a minimum of four years, with a dosage of 9 grams sugar/liter. Tasting Notes: Rounder and more mineralled than the regular cuvée, with more grapefruit, subtle pineapple, chalk and a touch of spice. With aeration, a touch of orange peel and spice emerge. Top cuvée of the house, made with a parcel of old vines upwards of 90 years of age — extremely old for Champagne. Tasting Notes: Wonderfully forthcoming nose combines acacia notes with an enthralling nougat-like aroma. Additional flavors include figs and raisins, along with honeyed pineapple. The richness of flavors are offset by a lovely underlying acidity on which rides attractive chalky notes. Stellar Champagne. "Pale color. Subdued citric and mineral aromas. Very pure, penetrating flavors of lemon, grapefruit pith and crushed stone. Even more incisive and intense than the Hugues de Coulmet, with a finer-grained palate feel, though not yet longer on the aftertaste. But this is superbly racy blanc de blancs, from all Mesnil Chardonnay. 90(+?) points." — Robert Parker's Wine Advocate Issue 144. "A classic brut in a traditional style with buttery and nutty notes. A classic to have in your cellar. 4/5." "The bargain of this tasting... This is a very fine wine — pretty much all 2002. Lovely cool, refreshing, confident, bone dry classic Chardonnay nose with all the charm and breadth on the palate contributed by fruit rather than added dosage. Great stuff! This is archetypal aperitif wine. 18/20"
"Fine bubbles and a fine nose, with honey, nuts, salt, and the unmistakable scent of the corner bakery. Ever wonder what liquefied lemon meringue pie would taste like? Me neither, but here's a chance to find out. Some hazelnut flavors thrown in, terrific acidity, and altogether a very engaging bubbly."